When I heard the designer of Carcassonne had a new game, I knew I wanted to check it out. 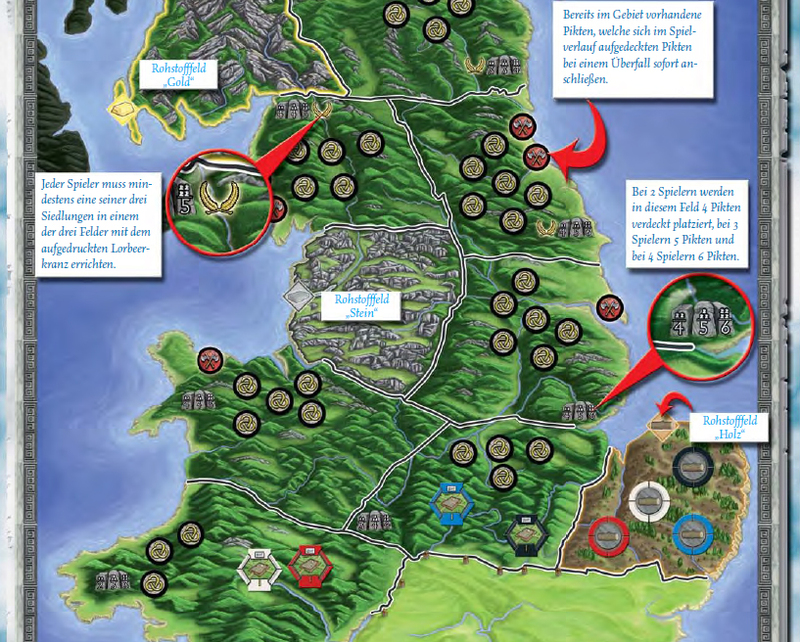 Players build forts and towns in the land of Albion (Roman Britain) where the south is tame but the north is inhabited by the Picts who are less welcoming to the Romans. Each player controls Settlers (who build buildings and collect resources) and Legionnaires (who increase military strength in their region). The first player to complete three level 4 buildings (including one in a far North region where it is most hostile) wins.